A G20 discussion paper on civil society advocacy has proposed an independent high-level commission of eminent persons to examine the contradictory policy environment for civil society organisations internationally. The roles of non-governmental or civil society organisations have become more complex, especially in the context of changing relationships with nation states and the international community. In many instances, state–civil society relations have worsened, leading experts to speak of a “shrinking space” for civil society nationally as well as internationally. (iii) to make concrete proposals for how the state and the international system on the one hand and civil society on the other hand can relate in productive ways in national and multilateral contexts. Civil society has experienced many changes in recent decades. Following a period of rapid growth in both scale and scope (nonprofit organisations account for 5–10 per cent of GDP in most OECD countries; (see Salamon et al 2013; Anheier 2014), and carried by growing policy expectations, resources and capacity, the past decade brought about a more complex, challenging environment for nongovernmental organisations including philanthropy. While private investments from G20 countries to developing countries has been increasing in the past years, the Center for Global Prosperity (CGP) at the Hudson Institute (2016) estimates for 28 Development Assistance Committee(DAC) countries and 11 non-DAC countries show that philanthropy comprises only $64 billion of a total of $513 billion of total private investments flows in 2014. The share of philanthropy has declined in relative terms and remained fairly stable in absolute numbers. 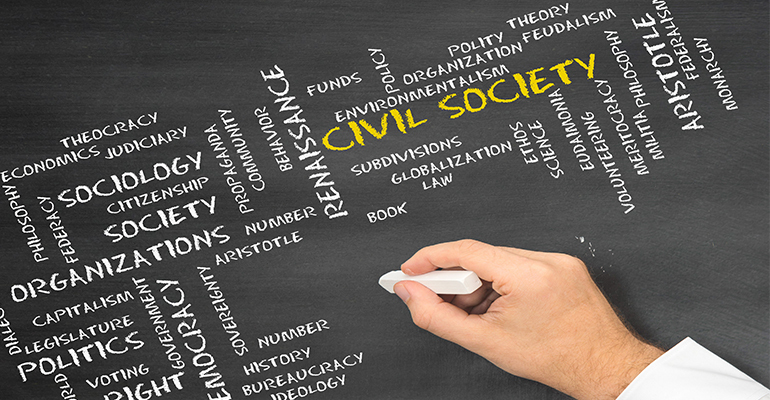 Civil society is a highly diverse ensemble of many different organisations that range from small neighborhood associations to large international NGOs like Greenpeace, and from social service providers and relief agencies to foundations commanding billions of dollars. It is an arena of self-organisation of citizens and established interests seeking voice and influence. Civil society organisations (CSOs) represent interests and advance causes that may or may not be deemed in the public benefit by a particular government or political parties, and, indeed, businesses and other CSOs. But by most measures, most CSOs are serving the public good. Yet there are grey areas between advocacy and politics as there are between profit-seeking and nonprofit making activities or between influence and interference. Indeed, regulations are needed to regulate and control the borders between government, business and civil society, as John G Simon et al (2006) argued, and to do so both nationally as well as internationally. As is the case for all institutions and organisations, political and regulatory frameworks shape the environment for CSOs as well. For several decades, most developed market economies have seen a general increase in the economic importance of CSOs as providers of health, social, educational and cultural services of many kinds. They have also seen new and renewed emphasis on the social and political roles of CSOs, usually in the context of debates about civic renewal. Indeed, these developments are taking place across many countries that otherwise differ much in their economic structures, politics, cultures and social fabrics. They are driven, in large measure, by four broad perspectives that position CSOs in specific ways and allocate certain roles to them. Second, they are seen as central to building and rebuilding the realm of civil society itself, and for strengthening the nexus between social capital and economic development. Attempts to revive or strengthen a sense of community and belonging, enhance civic mindedness and engagement, including volunteering and charitable giving, are illustrative of this perspective. With the social fabric changing, civic associations of many kinds are seen as the glue holding increasingly diverse societies together. The basic assumption is that people embedded in dense networks of associational bonds are not only less prone to social problems of many kinds but also economically more productive and politically more involved. Third, CSOs are part of a wider social accountability perspective that sees these organisations as instruments of greater transparency, and heightened accountability for improving governance of public institutions and business alike. Such mechanisms include citizen advisory boards, community councils, participatory budgeting, public expenditure tracking, monitoring of public service delivery, and consumer protection in many markets and fields. The underlying premise is that conventional accountability enforcement mechanisms like elections, public oversight agencies and the media are falling short; CSOs are to become the social whistleblower and advocates for voices that would otherwise remain unheard. Recent developments in government – civil society relation at many national levels as well as internationally suggest another, more geo-political perspective: according to Dahrendorf (1992), in spite of their high potential for conflict modern societies nonetheless command a large repertoire of mediating institutions and organisations. Dahrendorf was fundamentally concerned with the question of how complex societies can resolve conflict without either curbing individual liberty or sacrificing a potential for modernisation. His answer lay in a need for institutions that are capable of providing creative solutions. The world today, however, differs from the post-war period. 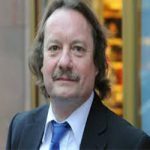 The framework for the economy and the state today is a globalised world and as such is characterised by significant governance issues (Hertie School of Governance 2013). These problems are due to the growing imbalances between the forces of globalised markets on the one hand, and the potential for governance and control on the other. The policy challenge is clear: how can the advantages CSOs bring be strengthened while minimising any disadvantages? How can the profoundly adversarial relations transformed into complementary or supplementary ones? How can the goals, ways and means of governments, including international organisations on the one hand, and civil society on the other, be better coordinated and reconciled? What is the right policy framework to balance their respective interests while realising the potential of civil society? What rules and regulations, measures and incentives would be required? What balance of public control and support is adequate? Civil society, challenged in many ways yet harboring huge potential, finds itself at a crossroads. It is time to act, and chart a way forward. Fifteen years after then Secretary General Kofi Annan initiated the first ever panel to examine UN-civil society relations (the Cardoso Report, 2004); it seems urgent to revisit the role of CSOs in a geopolitical environment that has radically changed. Therefore, we propose an independent high-level Commission of eminent persons to examine the contradictory policy environment for civil society organisations, and to review the increasingly complex space civil society encounters domestically as well as internationally. Working closely with, but independently of, the Civil-20 (http://civil-20.org), the Commission is to make concrete proposals for improvements. We propose that the process for such an independent commission should be initiated under the German Presidency of the G20, and to be taken up by Argentina, as it prepares to take over the Presidency for 2018. As part of this transition phase, a group of initiators with representatives of the German and Argentinian governments plus leading academic are to provide an appropriate evidence base, to formulate the charge to the Committee, and to suggest potential members for confirmation by Argentina. Each G20 country should be invited to propose Committee members. At the G20 summit in Argentina in 2018, the Commission is to submit its final report to G20 member states.